Recently, we discussed how science works. It’s not a belief. It’s not a random set of rules. It is a rational and logical process to determine cause and effect in the natural world. 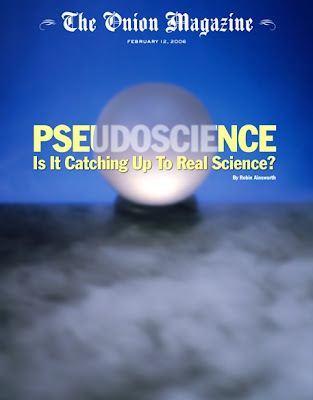 Pseudoscience, by its very nature, ignores the scientific process; instead, it claims to come to conclusions through science, usually by using scientific sounding words, but actually avoids the scientific process. They tend to use logical fallacies to make their case. Just to be clear, logical fallacy is essentially an error of reasoning. When a pseudoscientist makes a claim, or attempts to persuade the public of this claim, and it is based on a bad piece of reasoning, they commit a fallacy. There are several types of logical fallacies that they employ. My favorites are Appeals to Antiquity, or old ideas are somehow better than new ideas; Appeals to Authority, or someone who should know better supports the claim even if everyone else does not; Appeals to Popularity (also called the Bandwagon Fallacy), or everyone does it, so it must be useful; and the Genetic Fallacy, where the source is more matter than the merits of the evidence. Logical fallacies are so prevalent in skeptical community, there are websites devoted to describing them. Previous PostPrevious How pseudoscience makes its case-Part 1. Revised and repost.